One of the strangest attempts to climb Mount Everest was by Maurice Wilson (1898-1934), an eccentric Englishman, who tried to climb Everest after flying to the mountain–despite knowing nothing about mountaineering or flying. 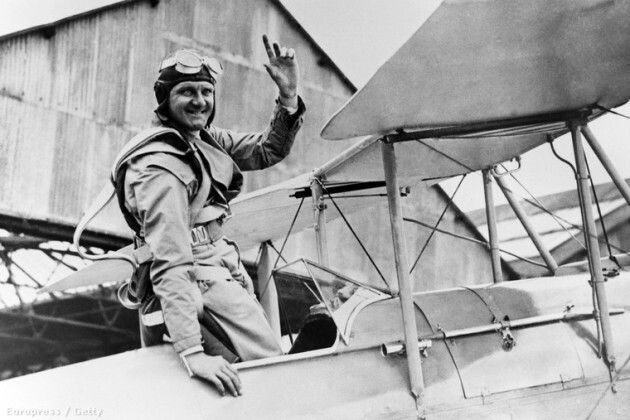 Wilson decided to climb Everest while recuperating from illness, forming a plan to fly to Tibet, crash the plane on the mountain’s upper slopes, and climb to the summit. He then learned to fly a Gipsy Moth plane, which he named Ever Wrest, and spent five weeks hiking around Britain for practice. He flew to India in two weeks and spent the winter in Darjeeling planning his expedition. Wilson, with no climbing equipment, approached up the Rongbuk Glacier, getting lost and crossing difficult terrain. On May 22, 1934 he tried to climb to the North Col but failed at an ice wall. On May 31, his last diary entry read: “Off again, gorgeous day.” His body was found in 1935 in snow, surrounded by his blown-apart tent. The last twist in the Wilson saga was that it appears he was a cross-dresser who had worked in a ladies dress shop in New Zealand. He was supposedly found wearing women’s underwear and had women’s clothes in his pack. A 1960 Chinese expedition added fuel to the story by finding a woman’s dress shoe at 21,000 feet. It seems Mr. Wilson wasn’t dressed properly for conditions. Most of what is known about Wilson’s activities on the mountain itself come from his diary, which was recovered the following year and is now stored in the Alpine Club archives. Completely inexperienced in glacier travel, Wilson found the trek up the Rongbuk Glacier extremely difficult and constantly lost his bearing and had to retrace his steps. He showed his lack of experience when he found a pair of crampons at an old camp, which would have helped him tremendously, but threw them away. After five days and in worsening weather he was still two miles short of Ruttledge’s Camp III below the North Col. He wrote in his diary “It’s the weather that’s beaten me – what damned bad luck” and began a gruelling four-day retreat down the glacier. He arrived back at the monastery exhausted, snowblind and in great pain from his war-wounds and a badly twisted ankle. It took eighteen days for Wilson to recover from his ordeal, yet he set forth again on 12 May, this time taking Tewand and Rinzing with him. With the Sherpas’ knowledge of the glacier they made quicker progress and in three days they reached Camp III near the base of the slopes below the North Col. Confined to camp for several days by bad weather, Wilson considered possible routes by which he could climb the icy slopes above, and made a telling comment in his diary. Not taking short cut to Camp V as at first intended as should have to cut my own road up the ice and that’s no good when there is already a hand rope and steps (if still there) to Camp IV. In 2003 Thomas Noy proposed that Maurice Wilson might have reached the summit of Everest and died on his descent. Climbing historian Jochen Hemmleb and Wilson’s biographer Peter Meier-Hüsing have both suggested that Gombu was mistaken about the altitude of the tent and pointed out that his account has not been borne out by other members of the 1960 expedition. It has also been suggested that if the tent at 8500m did exist, it might have been a relic of the rumoured Soviet expedition of 1952.